It's called the Lakeside experience. In a world where everything seems to be going at hyper-speed, you can step back in time at Lakeside along the shores of Lake Erie. Values and traditions are the heart of this community. 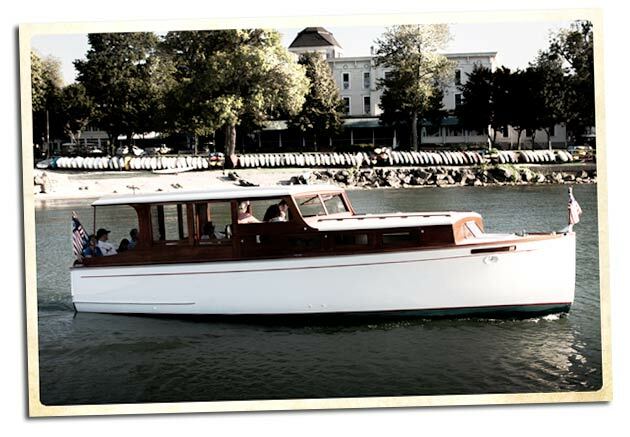 Lakeside is located on the Marblehead Peninsula, halfway between Toledo & Cleveland. Lakeside began as a small tract of cleared land, a campsite where Christian revivals often took place. The deed to part of what is now Lakeside was purchased by the Central Ohio Conference of the Methodist Church. Financial backers and organizers included Rev. Richard P. Duvall, who at one time had done missionary work for relocated Sac and Fox Indians in Oklahoma; B. H. Jacobs, a Danish immigrant who owned a store in nearby Port Clinton and who was a Civil War veteran; and Samuel R. Gill, twenty-seven years of age, who had grown up on the Marblehead peninsula. Lakeside is a gated community from the end of May through Labor Day. To enter Lakeside during the summer season, individuals must pay a gate fee, which helps support maintenance and improvements in town. Activities that are provided as part of the gate fee include sport and water sport activities, as well as Christian-themed activities and worship, in keeping with the area's history. There is a program every night in the spacious Hoover Auditorium, 24 professional quality shuffleboard courts, 9 tennis courts, and all kinds of children's activities. The summer calendar includes some activities for which there is an extra charge, such as miniature golf, movies at the Orchestra Hall Theatre, and an historical tour of homes. 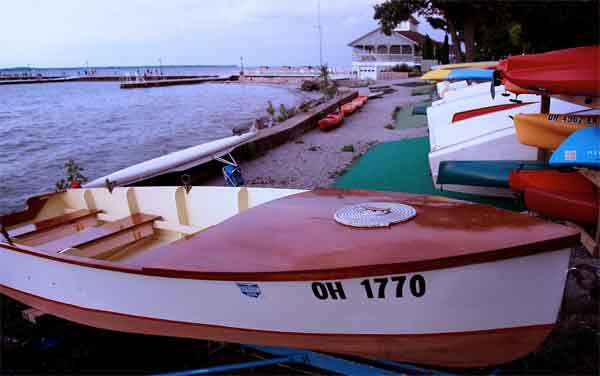 Lakeside also has a large pier jutting into Lake Erie, which offers fishing and swimming. Lakeside also features a handful of unique stores. Additionally, the dining opportunities in the area are varied, including numerous types of cuisine and a variety of settings. There is a dining room in the Hotel Lakeside as well. In 2012, Steve Hartman of CBS news, narrated a segment on his "Assignment America" about playing shuffleboard at Lakeside which suddenly put Lakeside's shuffleboard courts on the nation's radar. But for anyone that has played shuffleboard at Lakeside, that would be almost an oxymoron. 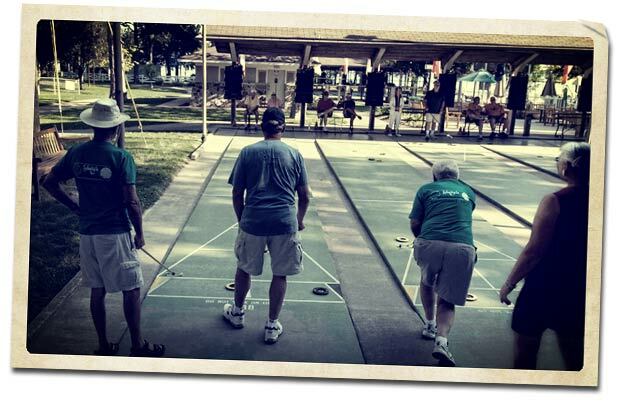 Shuffleboard and Lakeside go together like waffle cones and ice cream. In Hartman's story, he made it a point of noting that at least 99 percent of the kids at Lakeside play shuffleboard, and are quite good at it. In fact, Steve Hartman was one of those kids back in 1973 where he was the 12 and under champion. Shuffleboard has been a part of the Lakeside psyche since 1928, which is proudly displayed on a large sign at the shuffleboard clubhouse. Lakeside plays host to a number of National Shuffleboard Tournaments in July. 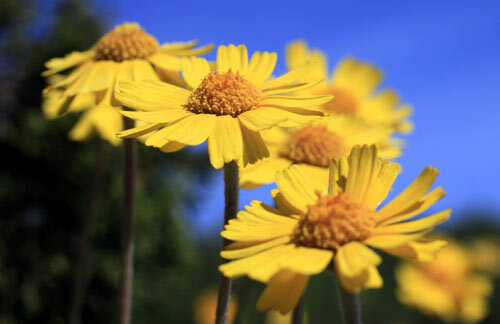 On the Marblehead Peninsula a 19-acre nature preserve was created on the old limestone quarry to protect and save the endangered flower called the Lakeside Daisy. The Lakeside Daisy is a bright yellow wildflower found only in this area of Ohio and a couple of spots in Ontario Canada. Every May, when the Lakeside Daisy blooms, the village of Marblehead celebrates the flower by hosting a festival known as Lakeside Daisy Day. The Lakeside Daisy is a perennial flower that grows where few others can, on nearly barren limestone bedrock in full sunlight. In early to mid-May, the bright yellow flowers of the Lakeside daisy adorn the otherwise bleak, sun-baked landscape of the Marblehead Quarry. Each basal rosette of leaves usually produces a single 6" - 11" tall, leafless, erect stalk topped with a solitary flower. The Festival is typically held the 2nd weekend of May. One thing Lakeside comes up short on is parking spaces, which is actually a big plus. Things are a lot quieter without a lot of cars, motorcycles and trucks driving around the community. But getting around without a car is part of the fun. In good weather, bicycles are very popular for all ages. You'll see lots of people just walking. Walking is good and there is a beautiful paved walking path along the lake that is unmatched. 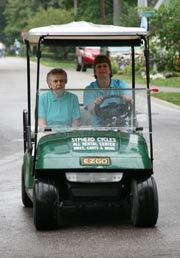 Renting a golf cart is the other popular mode of transport. You'll see these little carts running all over the village. They can be rented for whatever length of time you need and they're battery operated, so no noise and no pollution.